Should our new tagline be: “Caring About Rivers…Obviously”? 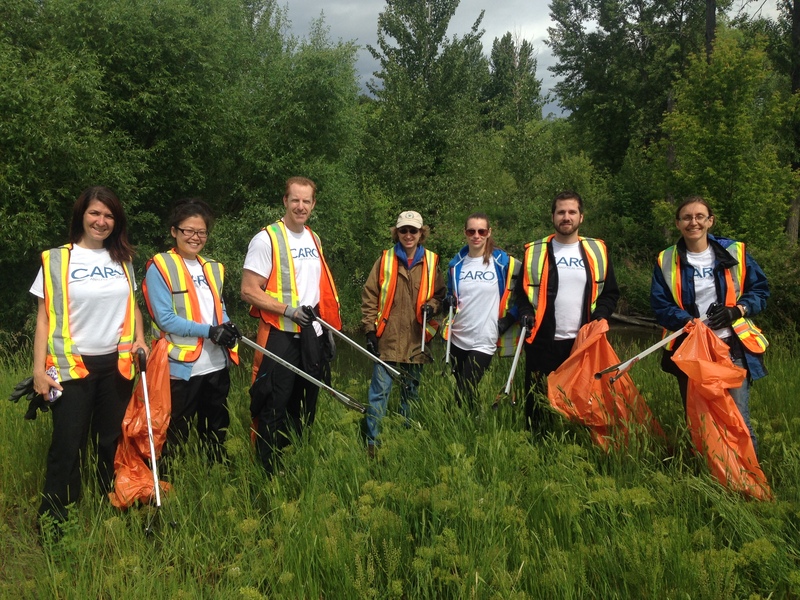 A number of CARO’s Kelowna team were busy over the weekend, completing our first round of Mill Creek Environmental clean-up on Sunday, May 29. The intentions for participating in this project was to practice genuine environmental stewardship in our community, which demonstrates one of CARO’s core values: harmony. Our harmony within the company is important, but our harmony with our environment is equally important and this was one of the many continuing efforts by CARO staff, independently or as a group to live in harmony with the environment. One of the reasons that many at CARO pursued our chosen education and career path is due to that fact that we wanted to do something that matters for the environment and to build something for the future. A commitment to a project like this goes beyond a one-time garbage pick-up event, the team at CARO will continue to remain committed to doing things that positively affect our environment. Problems with our environment are not solved in a single effort – it needs to be sustained. Consider this a continued challenge to how we view your surroundings and interact with them. There was still a portion of our designated coverage area that was not accessed, as well as, the opposite bank of the creek, so we anticipate that we will still have some ground to cover in the fall when we resume our cleanup efforts. We will be coordinating this with one of our valued clients, Ecoscape, who are responsible for looking after the upper portion of Mill Creek. We look forward to making this a combined, concerted and ongoing effort. Future events will go beyond the material pick-up and we will start looking at restoration of native plant material in the surrounding natural areas that will have an impact to the ecology for the long run. This is a key part of the process as we look to make the improvements sustainable for our geographical area. From what I understand, some of us even have experience in doing this so there is some experience to share among us. CARO will continue to look at our operations and our own footprint and what we can do internally to reduce, re-use, and recycle what we can. If you have suggestions, please feel free to share them with us. Our intent is that CARO’s commitment to this project will long outlive all the staff that are currently working here and that we would be known not only as an environmental testing company, but one that is genuinely practicing environmental stewardship in our community.